Volunteering Victoria is hosting a panel discussion alongside its annual general meeting to explore how volunteers are integral to the wellbeing of society. Whether a volunteer, volunteer-involving organisation or an elected representative – we all work in the interest of the common good. With the Victorian state election on our doorstep, Volunteering Victoria is hosting a panel discussion alongside our annual general meeting to explore how volunteers, as active citizens, are integral to the wellbeing of our society. Our keynote speaker Emma King, CEO of VCOSS, will focus on why we need a thriving volunteering sector. She will share her experience advocating on behalf of the state’s social and community sector, and what volunteering means for the future and health of those sectors. We will also be joined by four elected representatives to discuss their commitment to volunteering. In a panel discussion moderated by Scott Miller (chief executive of Volunteering Victoria), Gabrielle Williams (parliamentary secretary for Carers and Volunteers – ALP), Cindy McLeish (shadow assistant minister for Environment Communities and Volunteers – Liberals), Samantha Ratnam (leader of the Victorian Greens), and Fiona Patten (leader of the Reason Party) will respond to questions from the sector about their party’s commitments to volunteering, and how they will support volunteering and active citizenship in 2018 and beyond. In preparation for the AGM, Volunteering Victoria has been working with its members to collate its list of election priorities. greater attention to the social and local infrastructure that enables volunteering. While our consultation prior to the election is ongoing, the resounding message back from the sector is clear. Volunteering is the lifeblood of our community – it is impossible to over-value the efforts and generosity of the various means, motivations and contributions volunteers make for our community. The final list of election priorities will be released at the AGM, and our panellists will have an opportunity to respond to the united wishes of the sector. Interested in the conversation? Register for our AGM and panel discussion here. Not based in Melbourne and can’t travel? Listen to the live stream here. Volunteering Victoria is the state peak body for volunteering. 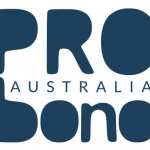 Our primary function is to facilitate opportunities for people and organisations to assist members of the Australian community who are in need through volunteering. We do this by a range of activities including advocacy, sector development, the promotion of volunteering and collaboration with like-minded individuals and organisations. There is power in association. Find out more about becoming a member of Volunteering Victoria here.